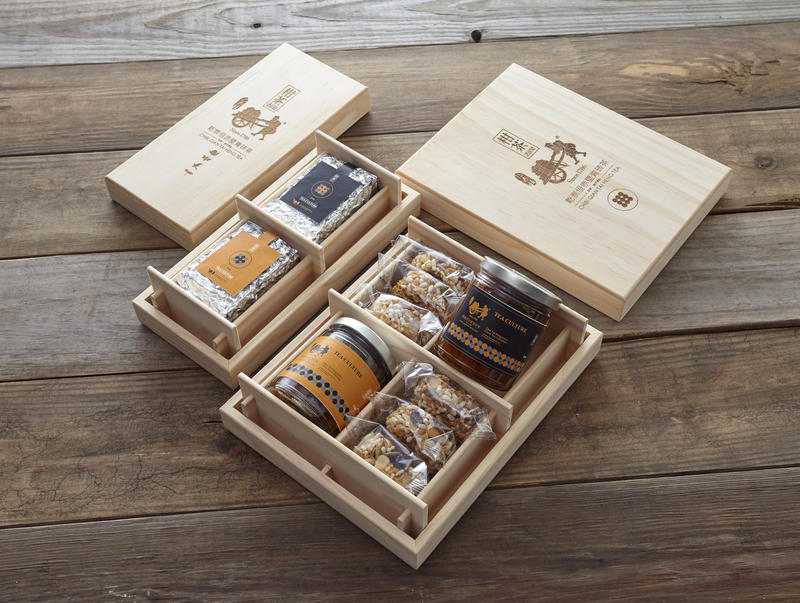 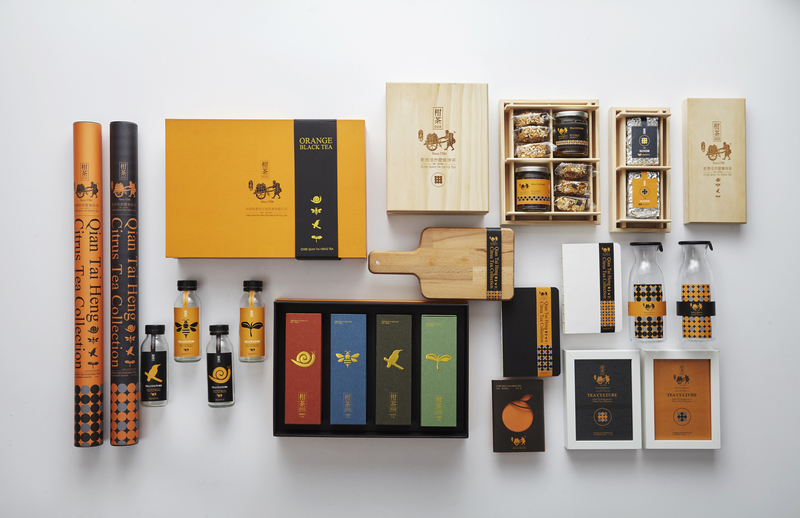 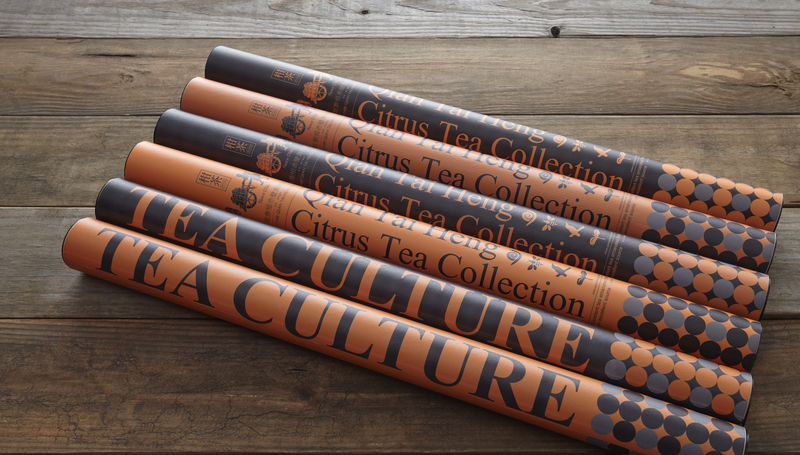 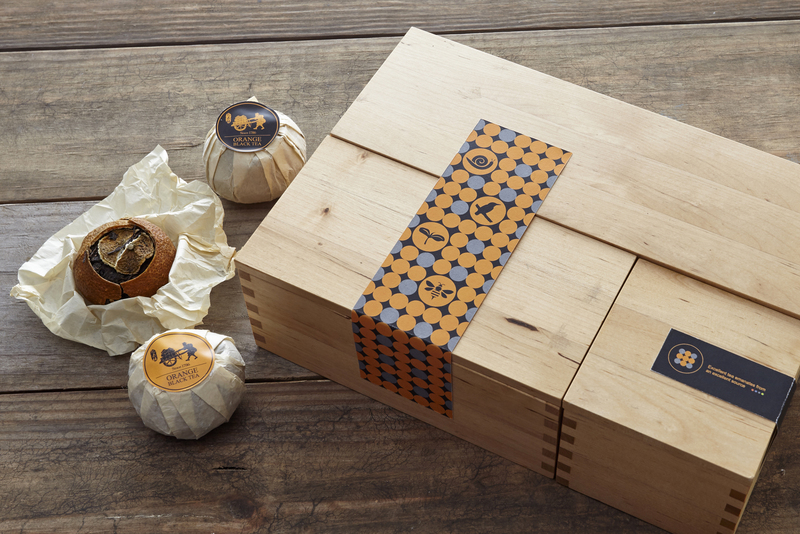 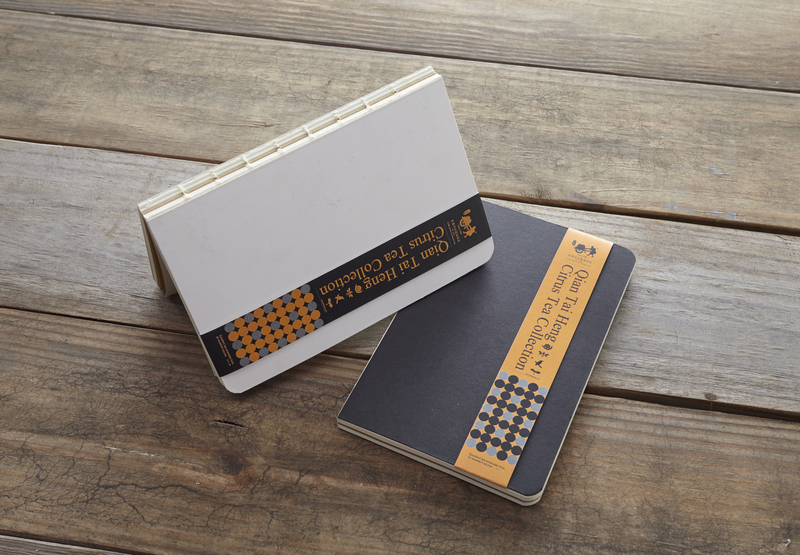 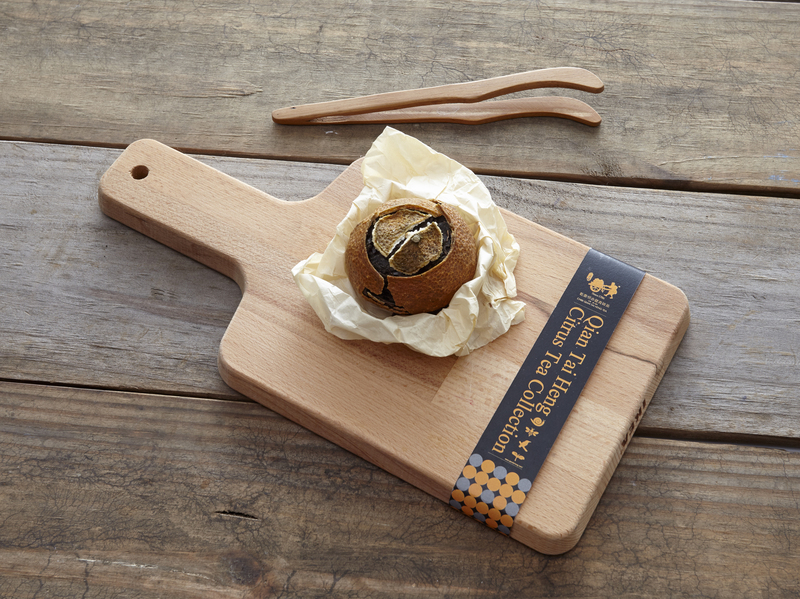 The sophisticated drawer box and lift-off lid are used for packaging with orange and black colors, orange reflecting the shades of citrus fruits, and black our fine black tea. 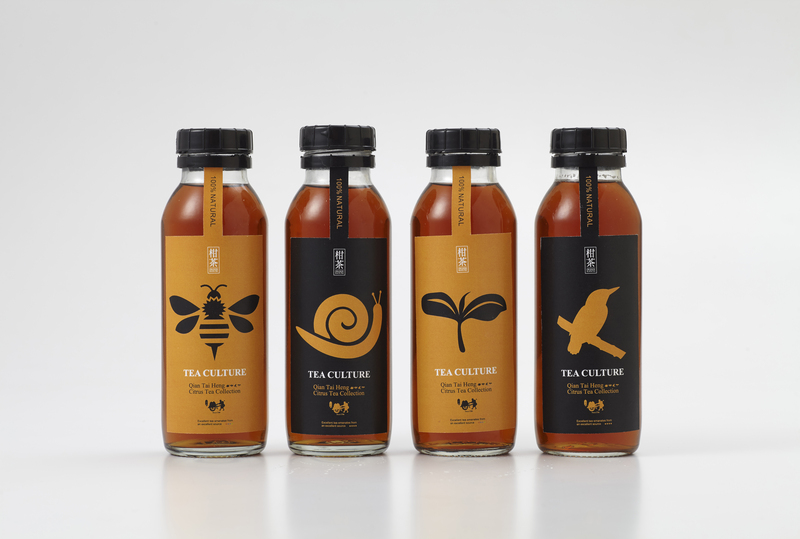 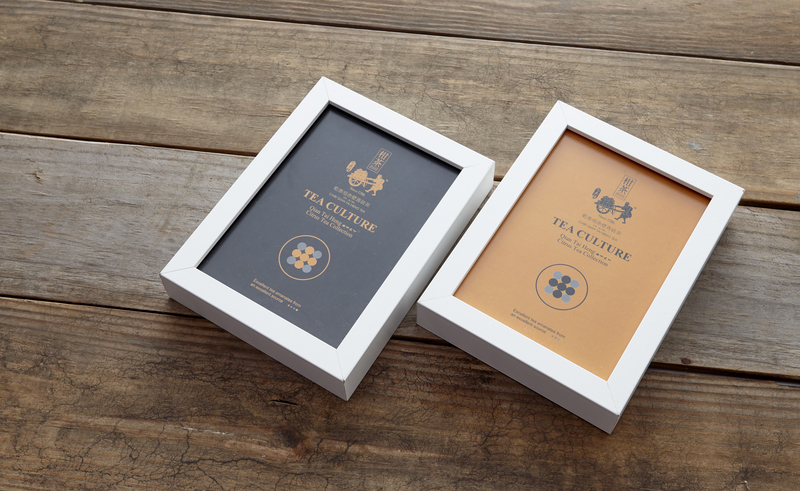 The box showcases the patterns of tea leaves and bugs, which are aesthetically pleasing and are representative of the tea ecosystem. 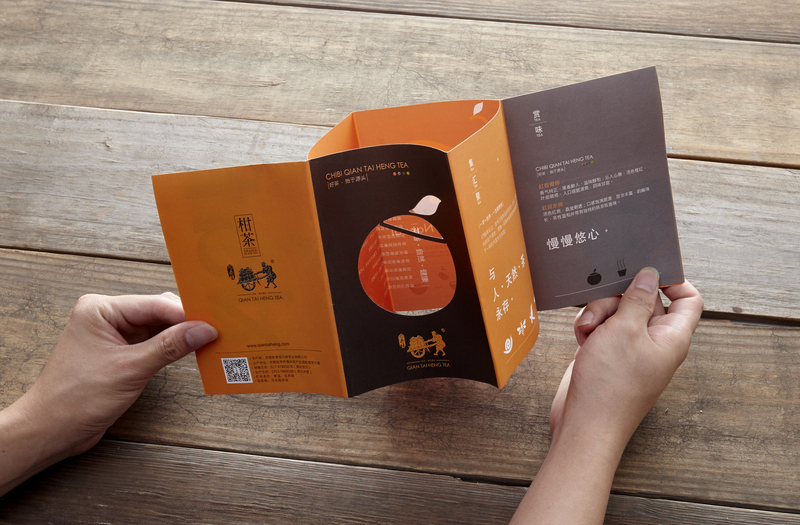 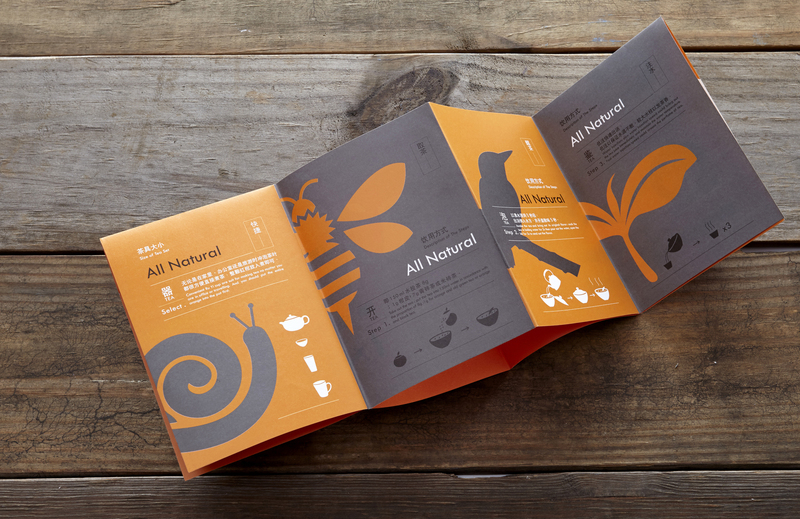 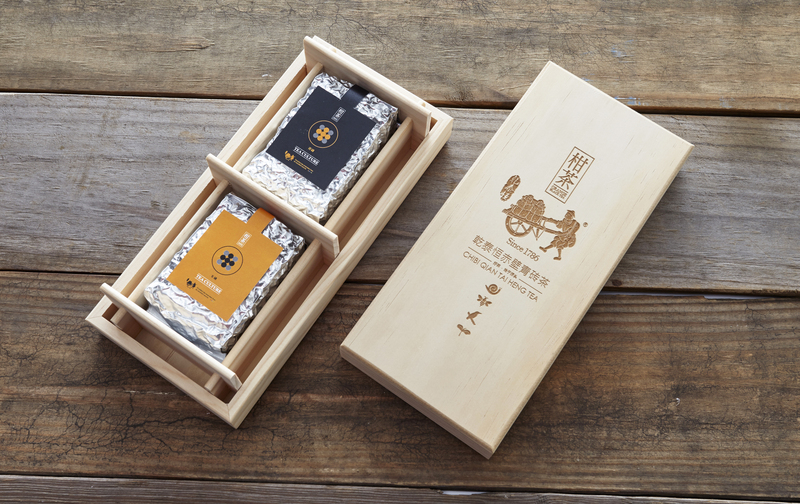 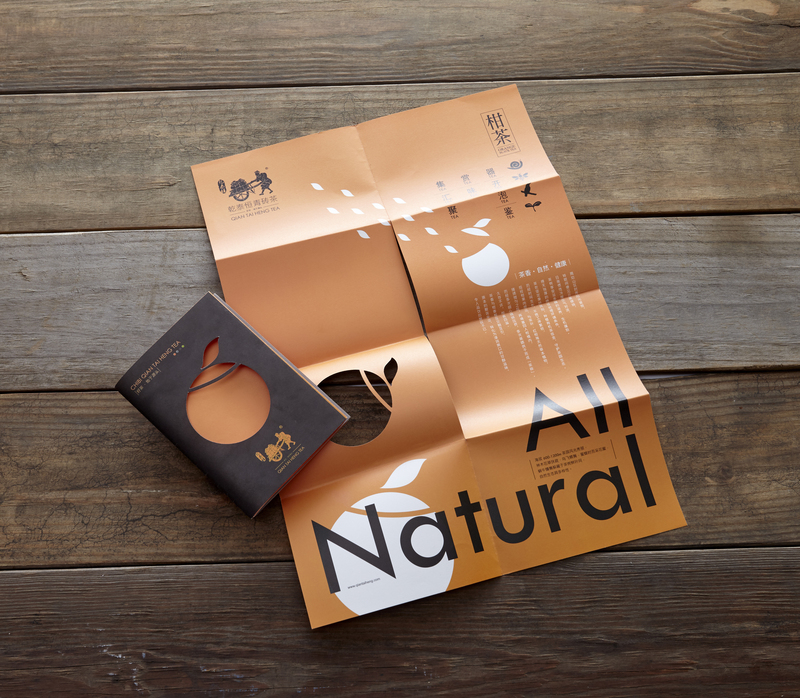 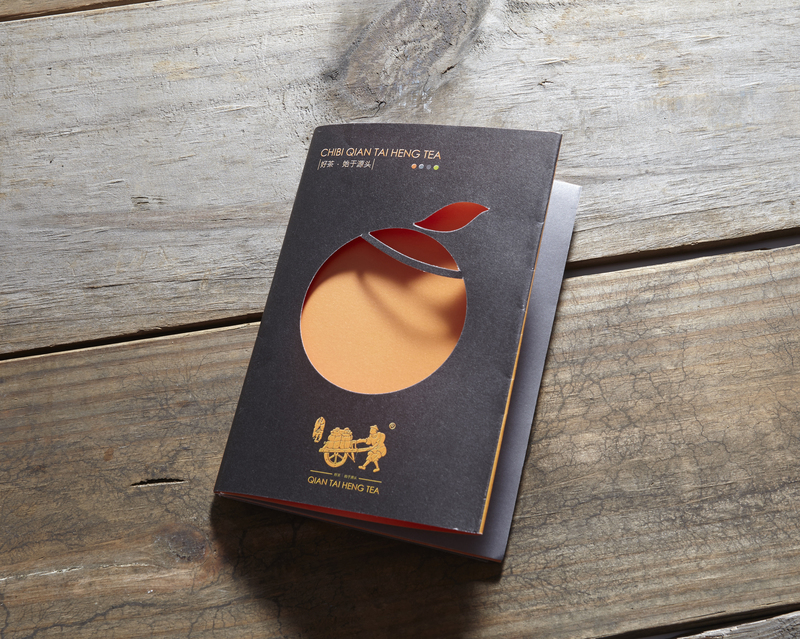 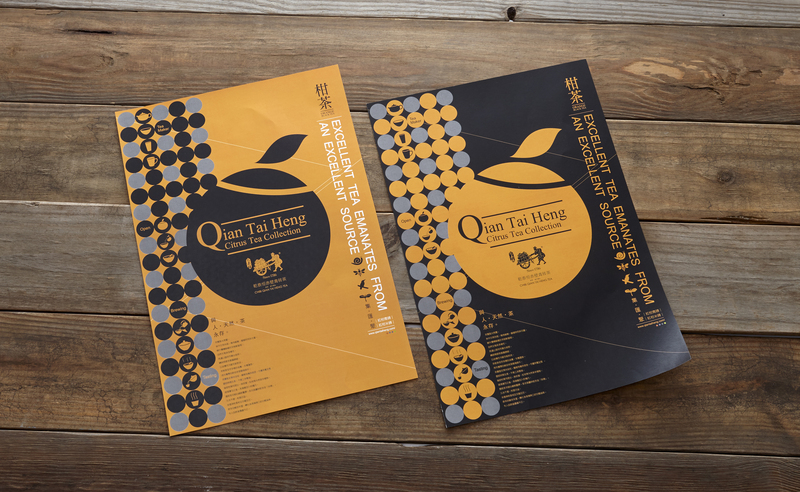 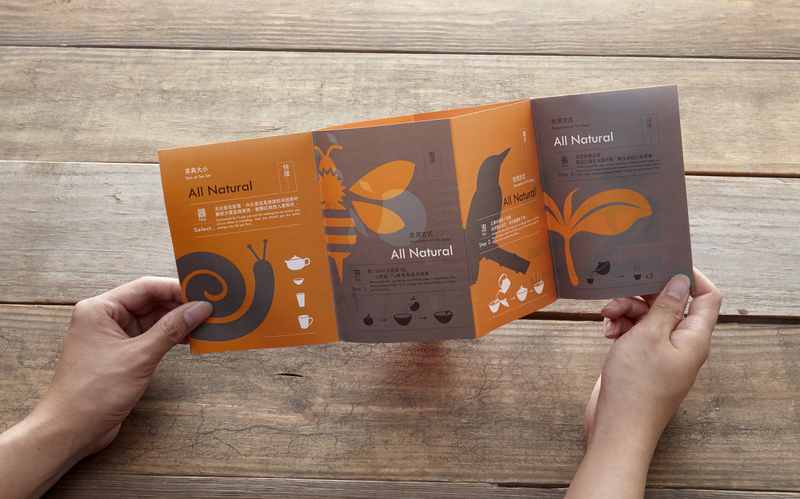 Inside the box, tea brewing methods are provided in pamphlets with illustrations to ensure the reflection of our philosophy, that is, "excellent tea emanates from an excellent source."